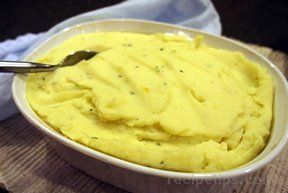 Bump up the flavor without adding extra fat to mashed potatoes with garlic powder and black pepper. 1. 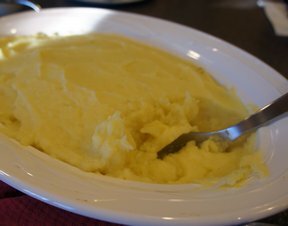 Place potatoes in medium saucepan. Cover with water. Bring to boil. Reduce heat to low; cover and simmer 10 to 15 minutes or until potatoes are fork tender. Drain and return potatoes to saucepan. 2. Sprinkle with garlic powder, sea salt and pepper. 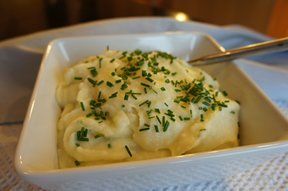 Mash with potato masher, gradually adding half-and-half, then sour cream.